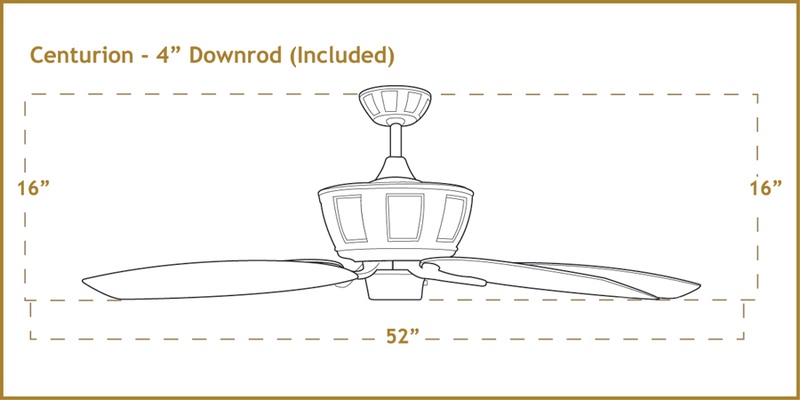 The Centurion Decorative Outdoor Ceiling Fan w/ 52" Traditional Blades outdoor celiling fan model, suitable for wet locations, features a motor housing constructed out of poly-resin and can accept the wide Outdoor Performance Series Blades. 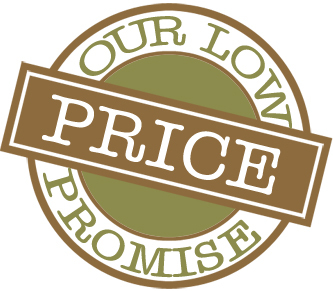 An super high performance motor provides ample cooling power. 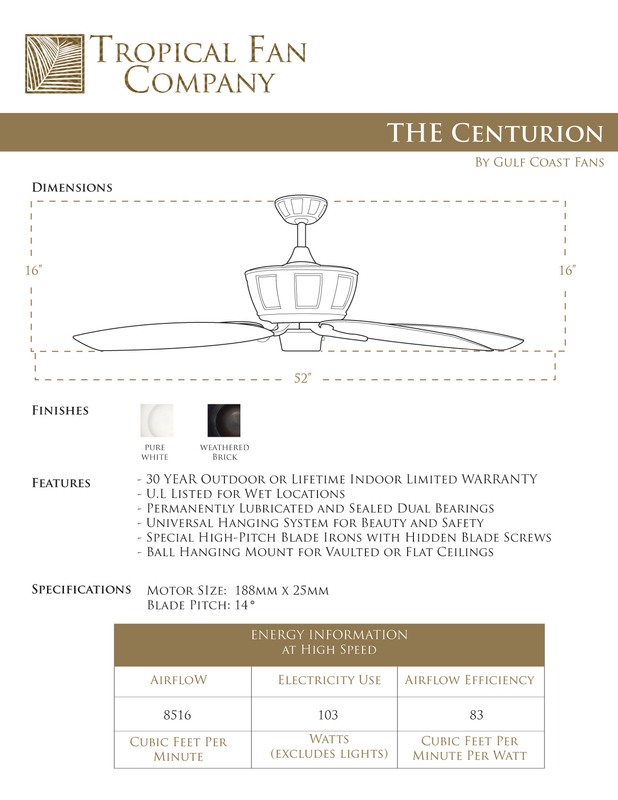 The Centurion is available in Pure White, or Oil Rubbed Bronze.